Dr. Suad Alawadhi attended the University of Missouri at Kansas City, where he received both his bachelor degree and DDS (Doctor of Dental Surgery) in 1998. He practiced general dentistry for two years prior to joining Baylor College of Dentistry for his postgraduate Endodontic residency. 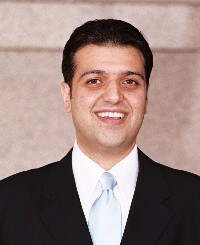 Dr. Alawadhi graduated from Baylor College of Dentistry in 2003, where he received his certificate in Endodontics and Masters degree of Science in Oral Biology. Dr.Alawadhi is an active member of the American Dental Association, Houston Academy of Endodontics, Greater Houston Dental Society, and Southwest Society of Endodontics. April is an enthusiastic, hard-working dental assistant. April strives to help provide you with top-notch care. She is always looking for ways to improve her role, whether it be through new sterilization techniques or continuing education courses. April will ensure that your treatment at Town and Country Endodontics runs smoothly, and that you remain comfortable throughout your treatment. Jana is the office manager/administrative assistant. From the moment you call our office, she is there to assist you every step of the way. Please let Jana know of any questions or concerns you may have throughout your time at our office. 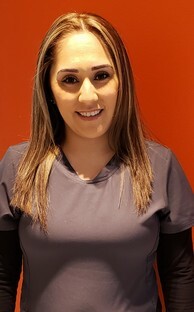 Jana works closely with our referring doctors and their staff members to ensure and exceed everyone's expectations while at Town and Country Endodontics. 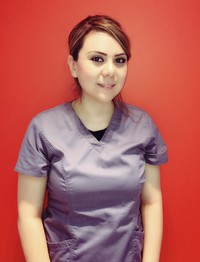 Lorena has been an assistant in the dental field for over 10 years. Her goal it to make patients well informed and comfortable while in our office. She will make you feel warm and welcomed and will be happy to answer any questions that may arise during your visit.